Flag carrier Philippine Airlines (PAL) is acquiring 15 planes this year as part of a massive re-fleeting deal with France’s Airbus S.A.S. that will help bring down operating costs while the airline expands capacity, a company official said last week. PAL senior vice president for operations Ismael Augusto Gozon told reporters that the airline was expecting the delivery of seven long-range Airbus A330s and eight mid-range A321s before the year ends. PAL, jointly owned by the group of tycoon Lucio Tan and conglomerate San Miguel Corp., is in the midst of a $9.5-billion refleeting strategy involving 64 mid-range and long-range Airbus planes. It is likewise keen on expanding its presence in the region through partnerships with other carriers. Last Friday, Hideaki Izumi, general manager of the domestic office of Japan’s All Nippon Airways, told reporters the company was open to exploring so-called special prorate agreements with Philippine Airlines to tap each other’s domestic markets. PAL also started new flights to Japan Sunday and it now serves the North Asian economic powerhouse with 11 flights daily. He added that the airline was also anticipating a United States Category 1 aviation upgrade. US Federal Aviation Administration inspectors were in the Philippines last week for a validating visit in a development the Civil Aviation Authority of the Philippines said would finally pave the way for an upgrade after six years. 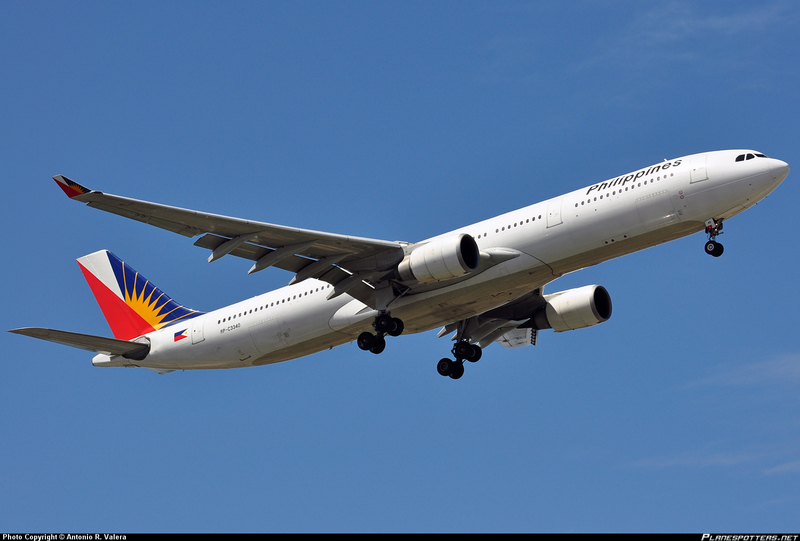 MANILA, Philippines–Philippine Airlines began its twice-daily non-stop service between Manila and Tokyo-Haneda on Sunday (March 30, 2014), making PAL the biggest carrier servicing direct flights between the Philippines and Japan. PAL’s new route presents limitless opportunities to further develop trade and tourism between the two countries. Business travelers prefer Tokyo-Haneda airport amid its proximity to Tokyo’s central business district. Haneda International Airport, which is 30 minutes away from Central Tokyo, is a popular hub for business travelers and passengers who wish to take the quickest route to the city. The airport, which has one domestic and two international passenger terminals is only 14 kilometers away from Tokyo by monorail. The flag carrier’s new service complements its thrice a day flights to and from Tokyo Narita Airport from Manila. business between our two countries can grow,” said PAL president and chief operating officer Ramon S. Ang in a statement issued to media. On top of these flights, PAL also has two daily flights between Tokyo and Cebu City in the southern Philippines. By far, PAL has the largest presence in Japan with a total of 11 flights daily to Manila from various points including Fukuoka, Osaka and Nagoya. MANILA – Japan’s All Nippon Airways (ANA) is keen on partnering with Philippine Airlines (PAL) to access the local carrier’s domestic destinations. “I’m not sure yet about the details. Like maybe a special cooperation agreement with them which is easy for both companies. They need our domestic flights and we need their domestic flights. So that would be the mutual benefit, I think,” Izumi said. This means ANA could tap PAL to transfer passengers to the local carrier’s Philippine destinations. In turn, AN, which will fly to Haneda from Manila daily, complements an existing service between Manila and Narita. Ramon S. Ang, PAL president, had said ANA was no longer interested in investing in PAL, and instead was keen on a partnership. ANA, which is flush with cash, is looking to acquire foreign carriers as part of a three-pronged growth strategy to counter Japan’s declining economy and population. Last year, the Japanese carrier raised $1.8 billion by issuing 991 million shares, bringing total shares to 3.5 billion. The Centre for Asia-Pacific Aviation (CAPA) had said the proposed partnership between PAL and ANA will result in limited synergies. “Practically, if ANA were interested in PAL to access the low-cost market in the Philippines, PAL would be a complicated choice as the carrier contentiously abandoned its [low-cost carrier] strategy to focus on the full-service segment,” CAPA said. Cebu Pacific Air launched two new international destinations on March 30, 2014. The airline became the first Philippine low-cost carrier to operate direct daily flights from Manila to Tokyo (Narita), and four times weekly flights from Manila to Nagoya. “We are very excited to finally be able to offer Cebu Pacific’s trademark lowest fares to these two new destinations in Japan. With our seat sales, seamless Manila airport terminal connection and extensive network, we hope to stimulate travel and bring Japanese tourists to various destinations in fun Philippines,” said Candice Iyog, CEB VP for marketing and distribution. “Similarly, we hope these two new destinations will enable many Filipinos to explore Japan for leisure or business travel. Japan is now more accessible and more affordable with Cebu Pacific flights,” she added. On March 30, 2014, Cebu Pacific Air launched daily services to Tokyo (Narita), utilizing the airline’s brand-new Airbus A320 fleet. The flight departs Manila at 5:25am, arriving in Tokyo at 10:35am. The return flight departs Tokyo at 11:45am, and arrives in Manila at 3:45pm. On the same day, Cebu Pacific Air launched its Manila-Nagoya-Manila service, with a Tuesday, Thursday, Saturday and Sunday frequency. Departing Manila at 3:20pm, the flight arrives in Nagoya at 8:25pm. The return flight departs Nagoya at 9:10pm, and arrives in Manila at 12:10am the next day. Aside from Tokyo, Nagoya and Osaka, Cebu Pacific Air offers flights to 21 other international destinations, namely Bali, Bangkok, Beijing, Brunei, Busan, Dubai, Guangzhou, Hanoi, Ho Chi Minh, Hong Kong, Incheon (Seoul), Jakarta, Kota Kinabalu, Kuala Lumpur, Macau, Phuket, Shanghai, Siem Reap, Singapore, Taipei and Xiamen. It also operates the most extensive network in the Philippines with destinations such as Boracay, Palawan and Coron. Cebu Pacific Air’s 51-strong fleet is comprised of 10 Airbus A319, 30 Airbus A320, 3 Airbus A330 and 8 ATR-72 500 aircraft. It is one of the most modern aircraft fleets in the world. Between 2014 and 2021, Cebu Pacific will take delivery of 12 more brand-new Airbus A320, 30 Airbus A321neo, and 3 Airbus A330 aircraft. San Miguel Corp (SMC.PS), the Philippines’ most diversified conglomerate, is planning to present a proposal to the government soon for a new $10 billion airport in the capital, its president said on Tuesday. Ramon Ang confirmed a Nikkei report that the company was set to present its plan for an alternative international airport in Manila next month. He confirmed the report in a text message to Reuters. The group, which also owns a portion of flag carrier Philippine Airlines (PAL.PS), announced last year its intention to build a new facility to replace the ageing airport currently in used. It delayed the plan pending questions on state policy on airline companies operating airports. MANILA – Tigerair Philippines is seeking regulatory approval for the lease of aircraft from Cebu Pacific. Wyrlou Samodio, head of the Civil Aeronautics Board (CAB) legal division, said Tigerair has a pending application for the lease of one A320 aircraft. “Since we are the economic regulator, any activity that deals with the business aspect of the airline goes through the CAB under the [Republic Act No.] 776,” Samodio said. He said Tigerair’s aircraft lease agreement with Cebu Pacific is part of the business arrangement between the two airlines. Sought for comment, Olive Ramos, president of Tigerair, said the airline will return two A319s to Singapore’s Tiger Airways on March 18. “The new aircraft will be used for our domestic flights and will be deployed in T4,” Ramos said, referring to Terminal 4 of the Ninoy Aquino International Airport (NAIA). Tigerair has a fleet of two A319s and three A320s, serving four international routes and one domestic destination out of Clark, and seven local routes out of Manila. Last month, Gokongwei-owned Cebu Air Inc (CEB) signed the share purchase agreement to acquire 100 percent of Tigerair, including the 40 percent stake of Tiger Airways owned by Roar Aviation II Pte Ltd. The transaction, which was valued at $15 million, has bagged approval from the shareholders of Tiger Airways and CAB. As part of the initial stage of the strategic alliance with Tigerair, its Philippine flights will be made available on the Cebu Pacific website and through its other booking channels beginning mid-March. 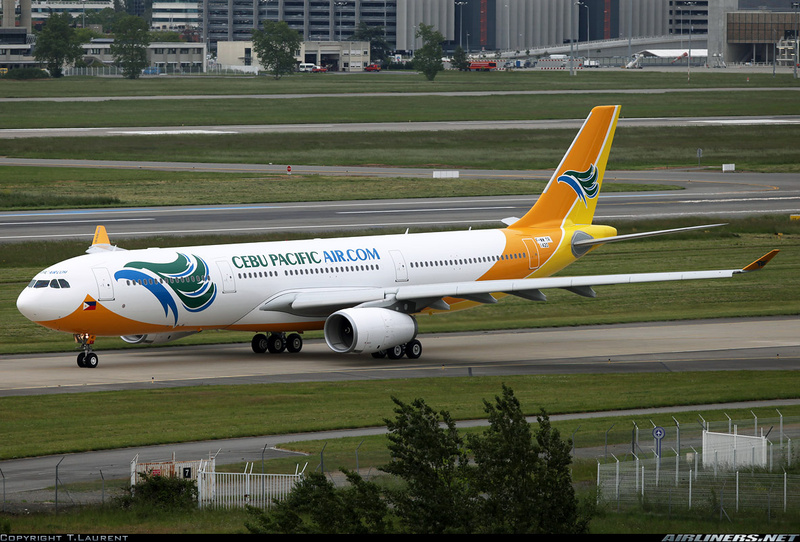 Using a fleet of 49, Cebu Pacific operates over 2,200 flights per week to 24 international and 33 Philippine cities. With its fleet of five aircraft, Tigerair operates about 118 flights per week to 11 domestic and international destinations, from its bases in Manila and Clark. Upon full implementation of the strategic alliance, the Cebu Pacific and Tigerair websites will be used as sales and distribution platforms to market all routes operated by both airlines. MANILA- At least the AirAsia group remains highly committed to the Philippines despite recent catastrophes faced by the country in the last six months. Typhoon and earthquake did not deter Asia’s largest low cost airline to further expand to the Phillipine archipelago. Just a few months after opening the Cebu market with new flights to both Kuala Lumpur and Kota Kinabalu, the Malaysian affiliate AirAsia Bhd announced to launch from April 18 four weekly frequencies from Kuala Lumpur to Kalibo. Kalibo airport is the nearest location to go to Boracay Island, one of the Philippines most renowned resort areas. Last February, Philippe Ambassador to Malaysia Eduardo Malaya expressed his satisfaction to media : “As we move towards the attainment of the Asean Economic Community in 2015 and as close neighbors, it is high time for Malaysians and Filipinos to meet, engage and get to know more of each other’s peoples and countries,” he said in a statement. The Kuala Lumpur to Kalibo direct international flight will be a first for the local airport. The nearest airport to Boracay is the Godofredo P. Ramos Airport in the town of Caticlan. From there, Boracay Island is only accessible either through Caticlan or Kalibo. However, only Cebu Pacific and Philippine Airlines Express have regular flights to Caticlan which has limited air facilities. The transfer via Kalibo is slightly longer, varying between an hour and a half and three hours depending of the type of transportation used. The new route of AirAsia will anyway bring tourists closer to Boracay instead of a transfer via Manila. Late last year, AirAsia Zest launched its first international flights from Cebu Mactan International Airport to Kuala Lumpur as well as Kota Kinabalu. Cebu is AirAsia Zest second hub with new international and domestic flights being served. Currently the AirAsia Group serves eight destinations in the Philippines with Manila, Cebu and soon Kalibo being internationally connected. Manila is connected to 13 international and domestic destinations while Cebu is connected to 8 domestic and international destinations. 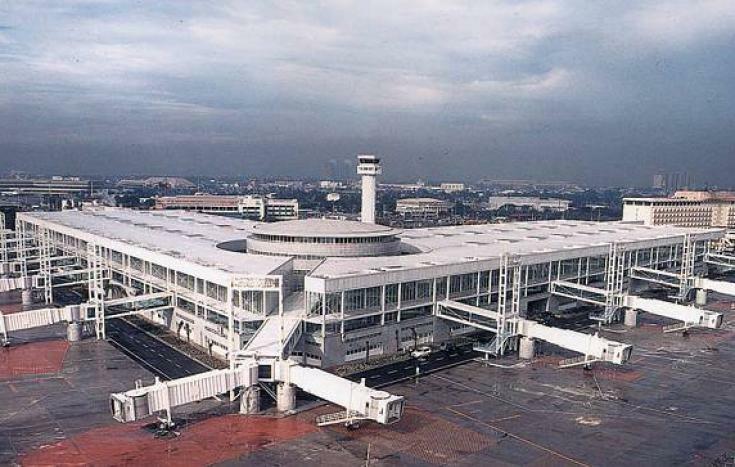 MANILA, March 20 — The Philippine government plans to upgrade 12 airports, including Manila’s dilapidated main international airport, as it seeks to attract 10 million foreign tourists by 2016 and help fuel one of Asia’s fastest growing economies. Three of the projects have a combined cost of up to ₱54.6 billion (RM3.99 billion), while costs for others are still being finalised. Half of the planned projects will be done through the Public-Private Partnership (PPP) scheme, Cosette Canilao, executive director at the agency overseeing the programme, told reporters on the sidelines of an investors’ forum in Manila. Canilao also said operations and maintenance of these airports could be “bundled” into one tender, which will be offered to investors later this year. President Benigno Aquino wants to make the tourism sector one of the key drivers of the economy. The economy grew 7.2 per cent in 2013, the second fastest in Asia after China. Rehabilitation of NAIA Terminal 1 will be completed by early 2015 at the latest, while the airport’s Terminal 3 will be fully-operational in July this year, said Limcaoco. 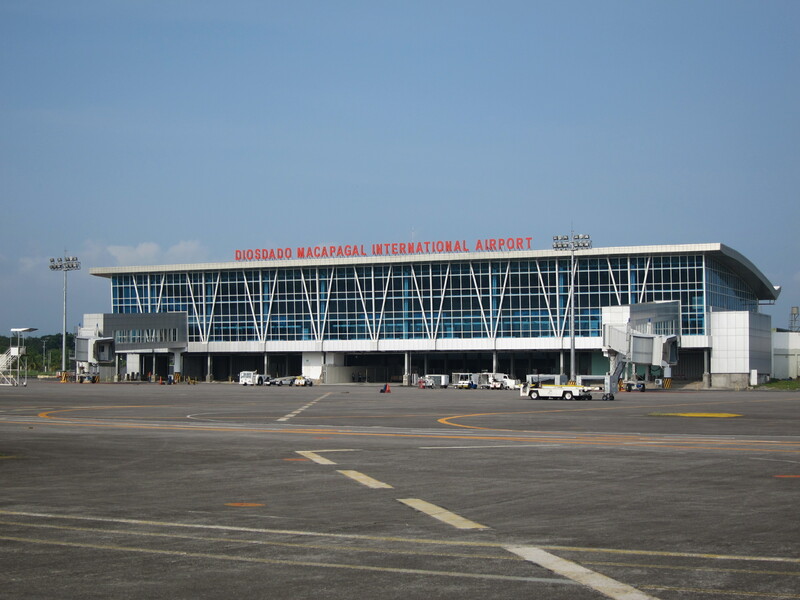 He also said the transportation department is sticking with its end-March target to award the ₱17.52 billion PPP contract for the Mactan-Cebu International Airport Terminal. MANILA, Philippines – The low cost unit of Philippine Airlines (PAL) is increasing its Dubai flights by the end of this month. In a statement, PAL Express said it would fly 6 times weekly to Dubai from Manila starting March 30. It would fly to the Middle Eastern country using its Airbus 330-300 aircraft everyday, except Thursday. The additional flight would cater to growing passenger demand. Dubai is a major destination for overseas Filipino workers. PAL Express also announced that it would temporarily land at the Al Maktoum International Airport (airport code: DWC) beginning May to give way to the refurbishment of the runway of the Dubai International Airport (airport code: DXB). DWC is less than 45 minutes away from DXB and the emirate’s tourist and commercial districts. Arriving passengers at DWC can take the RTA bus to IBN Battuta Metro Station, which easily connects to Dubai’s Metro Rail System. PAL Express said it would resume landing at DXB on July 20. 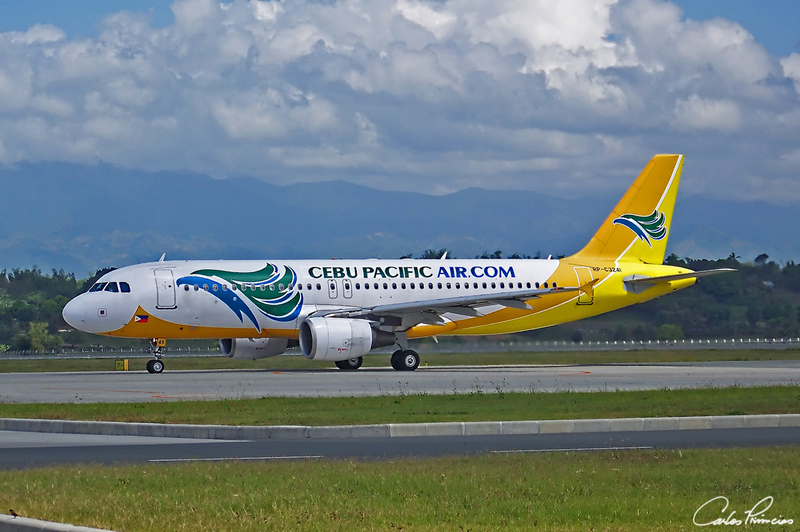 MANILA, Philippines – The European Union is currently evaluating the application of Gokongwei-owned Cebu Air Inc. (Cebu Pacific) to enter European airspace after the body partially lifted a ban and allowed flag carrier Philippine Airlines Inc. (PAL) to fly to London last year. Lawyer Jorenz Tanada, vice president for corporate affairs of Cebu Pacific, told The STAR that the budget airline has been advised by the Civil Aviation Authority of the Philippines (CAAP) to attend the Air Safety Committee (ASC) meeting of the EU this week. “We were advised by the CAAP that the EU has invited Cebu Pacific to attend the Air Safety Committee meeting on March 26,” Tanada said. (Ret.) Capt. John Andrews, deputy director general of CAAP, confirmed that the application of Cebu Pacific to fly to Europe is now being evaluated by the commission. “It will be done this week,” he confirmed. In March of 2010, the 27-member European Commission imposed a ban on Philippine carriers from entering the European airspace after CAAP failed to reform the country’s civil aviation system as mandated by the International Civil Aviation Organization (ICAO). However, the Philippines got a positive impression at the EU’s Air Safety Committee (ASC) in Belgium in June especially after ICAO lifted the remaining significant security concerns regarding the Philippines after the CAAP passed the audit conducted in February last year. This paved the way for the partial lifting of the ban in July last year allowing PAL to mount direct flights to London last November. In 2008, the safety rating of the Philippines was downgraded by the US FAA upon the recommendation of the International Civil Aviation Organization (ICAO) to Category 2 from Category 1 after CAAP failed to comply with safety standards for the oversight of air carrier operations. Cebu Pacific informed the Directorate General for Mobility and Transport (DGMOVE) of the EU that the low cost carrier has already complied with all the outstanding aviation safety concerns just like PAL. Tanada pointed out that Cebu Pacific and representatives from CAAP met in Brussels in January. “There was a technical review meeting between representatives from CAAP, Cebu Pacific, and the EU DGMOVE last January 28 in Brussels,” he revealed. It would be recalled that no less than Cebu Pacific president and chief executive officer Lance Gokongwei earlier announced that the budget airline would seek the green light from the EU to fly to European airspace in November last year. Gokongwei assured that Cebu Pacific operates a safe airline despite the incident involving two of its aircraft at the Davao International Airport and the Ninoy Aquino International Airport (NAIA) last June. Since the incidents, Gokongwei said that the airline has complied with the recommendations of the Civil Aeronautics Board (CAB) particularly on the training of its pilots as well as the review of its flight operating system by experts from Airbus. However, the plan was deferred after Super Typhoon Yolanda battered several provinces in the Visayas region last Nov. 8. Cebu Pacific is in the middle of a $4 billion re-fleeting program involving the acquisition of 49 Airbus aircraft as it gears up for long-haul flights to the United States and Europe. Cebu Pacific has a fleet of 50 aircraft composed of 10 A319, 29 Airbus A320, three Airbus A330, and eight ATR-72 500 aircraft. It expects the delivery of 13 A320, 30 A321neo, and three A330 between 2014 and 2021. Cebu Pacific is also looking at mounting flights to the US, particularly Guam and Hawaii once the country’s status is upgraded by the US Federal Aviation Administration (US-FAA) back to Category 1.